Three cheers for the ears! Why is this the Mickey Pull-Up ottoman? It's sized just right to pull up to the end of a twin bed, or next to a play table, or to use as extra seating. With its tufting option, it's cute as a button; without, it's one smooth operator. 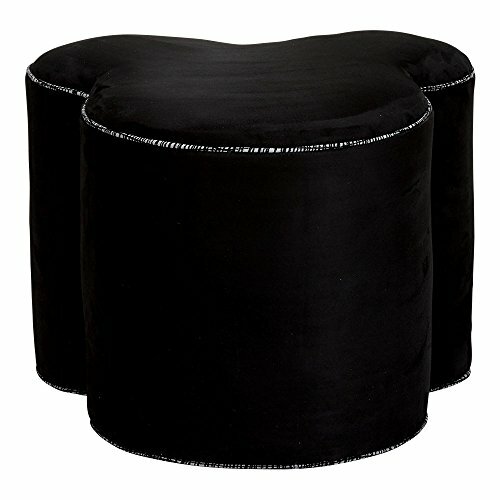 This versatile ottoman is a big statement in a small package, and we love its go-anywhere style. A smooth upholstered top offers a soft, plush seat. ONLY ONE ETHAN ALLEN DELIVERY CHARGE WILL BE ADDED TO YOUR TOTAL ORDER. This item will ship via Ethan Allen's Premier In-Home Delivery service, which includes in-home placement and assembly of your order for one low flat fee. Shipping charge will be calculated at checkout based on your total order value. If you have any questions about this product by Ethan Allen, contact us by completing and submitting the form below. If you are looking for a specif part number, please include it with your message.